In 2013, Elie Burzstein published a report that revealed 1 in 4 online accounts gets hacked, and that number is climbing all the time. More recently, close to 300 million online accounts were compromised. 24+ million of those accounts were Gmail, spreading a mass epidemic of fear among internet users everywhere. Getting your Gmail account hacked, Facebook account hacked, or any account for that matter, is frightening, but it doesn’t have to be devastating. Here’s what to do if you think you’re one of the 24 million affected and how you can keep all your online accounts protected in the future. I got my Gmail hacked! Now what? If you’re lucky enough to still have access to your Gmail account, you need to change the password immediately. This will keep hackers from using the old, hacked password to change details in your account settings. You can change your Gmail password by clicking here. Choose a strong password that is resistant to hacking. This will involve several layers of complexity including special characters on the keyboard (&^#, etc. ), digits (9773, for example), lower and uppercase combos (hRvlM, for example), and words or phrases that are not obvious (like not Love or Money). Having Your Gmail Account Hacked Puts Your Other Accounts At Risk! Was my Facebook hacked along with my other accounts? It’s not obvious to everyone, but sharing your password between your various accounts is one of the easiest ways to help hackers really screw you over. Once the hackers have got your password, they can hop from one account to the next with the same password, accessing all of your accounts with ease. Use a different password for each account, and keep track of them all with a password manager like one of these. LastPass is a good option as well. There’s no time to lose. If someone has access to your account, it’s only a matter of time before they find all of your personal data and exploit it for their benefit. Use a tool like this one to sweep your entire account for any sensitive information that might be stored there and remove it safely. This free tool helps find passwords, banking details, and more, and alert you if any other data is view able in the future. 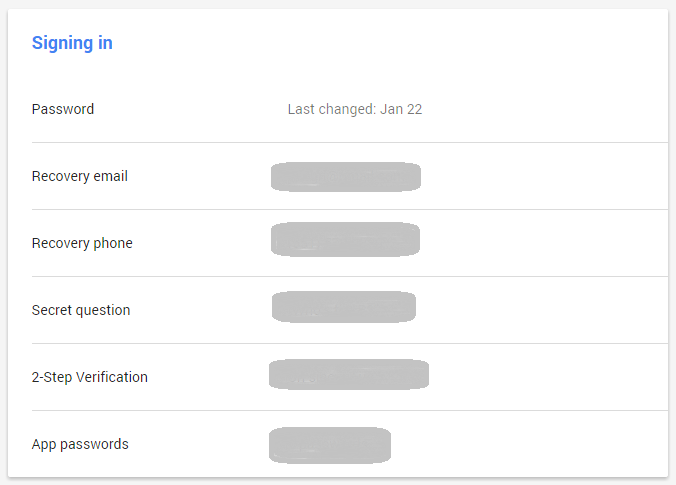 Take a look at your activity log to see if there’s been activity when you are not on your account. Scroll down to the bottom of the page, click Details at the very bottom right corner (it will be a link underneath the Last account activity: X minutes ago), and peruse the list of recent activity on your Gmail account. Here you’ll see what type of device was used to access your account, where the account was accessed, and at what time. Look and see if there’s anything you don’t recognize, whether it’s an unusual device or a time when you know you weren’t using your account. Weird activities logged is a good indication that someone is accessing your account without your permission. Go to your Account page, and review the recovery options you have listed. There should be a familiar email address and phone number listed. If an unfamiliar name or number is listed, change this immediately. Regardless, you should change the security question. Note: Don’t forget to check that the recovery email account is secure too. Under the General tab, check the Signature and Vacation responder. Under your Account tab, review the “Send mail as” setting. Under the Filters tab, check that new filters haven’t been added. Often hackers will set up a filter for your bank to send emails directly to their email address instead of yours, disable notifications of money transfers, etc. 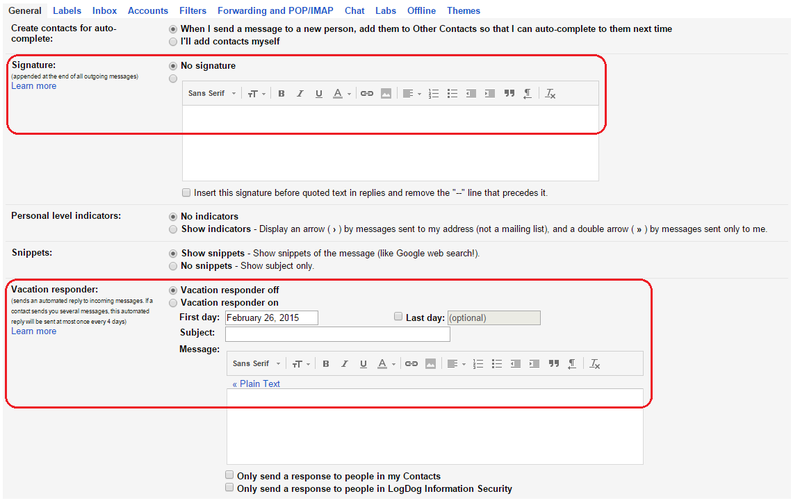 Under the Forwarding and POP/IMAP tab, verify that no emails are being forwarded. If you can’t get into your Gmail account at all, that probably means someone has changed your password, and you need to act fast. Choose the “I’m having other problems signing in” option. You’ve settled your Gmail account, but the problem doesn’t stop there. Since hackers use one web account to access another, you need to make sure the rest of your accounts are safe as well. Check your other Internet accounts including social media, banking, photo sharing, and the like to see if they’ve been hit, and change the passwords regardless. Facebook is a popular one, so if you think you have a Facebook hacked account, read up on how to protect your FB account. Don’t forget to manage your passwords with something like TrueKey to keep everything organized. Run and maintain an updated antivirus on all your devices. It’s so easy for a hacker to sneak a virus onto your computer or phone, and then no amount of password changing or protective layers will help. Here are some top quality antivirus programs that you can get for free. Even Macs can be susceptible, so don’t go unprotected. And don’t forget to protect your mobile devices with good mobile antivirus as well. Finally, your fears of having your Gmail account hacked again can be put to rest by getting LogDog for all your devices. you can use the app for iOS or Android, so you can cover all your base. A multi-account protection app like LogDog is on the lookout 24/7 for signs of unusual activity. If suspicious activity is picked up, you will immediately receive a notification alert. This enables you to change your password straight away, before a hacker has a chance to create havoc to your business or private life.